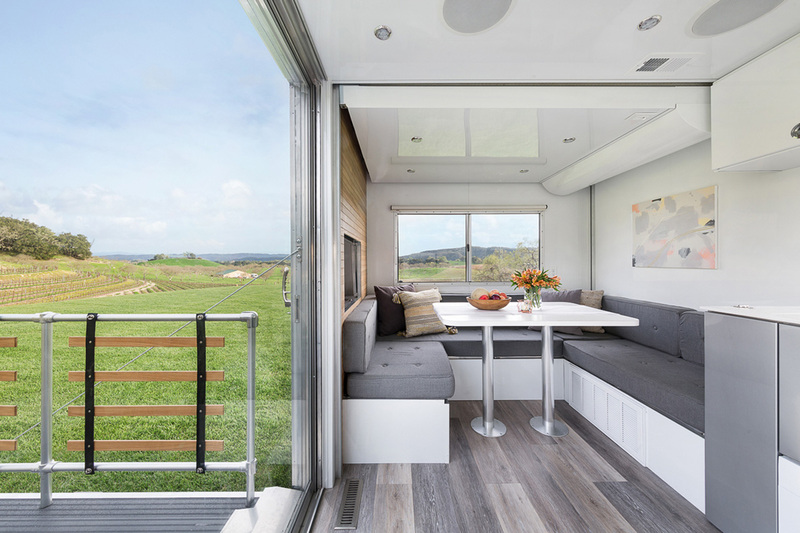 Living Vehicle is a mobile home option that’s been carefully thought of and beautifully designed to make the most of its interior space. Inside of it you’ll find a small kitchen with all of the modern appliances, a living area, a bedroom and a bath. The structure is supported by sturdy aluminum tubes that ensure strength and lightweight, the outside is from the same noble material which contributes for a great look and has a vintage style that reminds of the 50’s Airstream models. 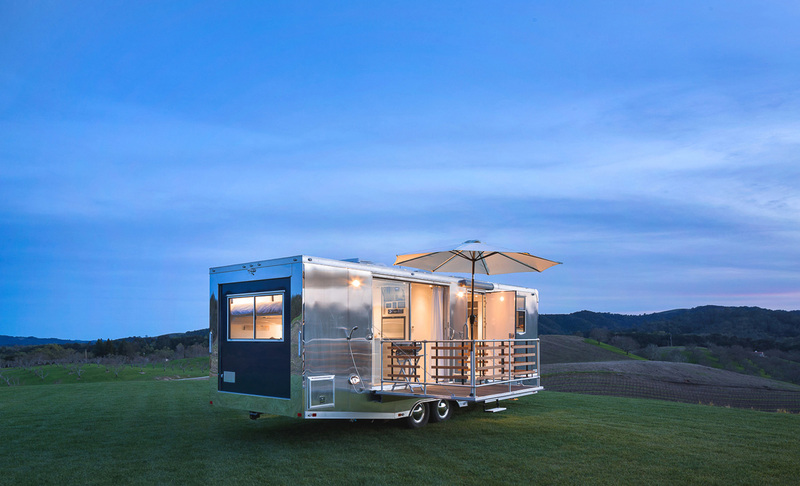 The tiny house has a 6 person capacity and its strong construction will enable you to get to some hard to reach spots. It has double paned windows to provide extra thermal insulation which makes it suitable for all seasons. 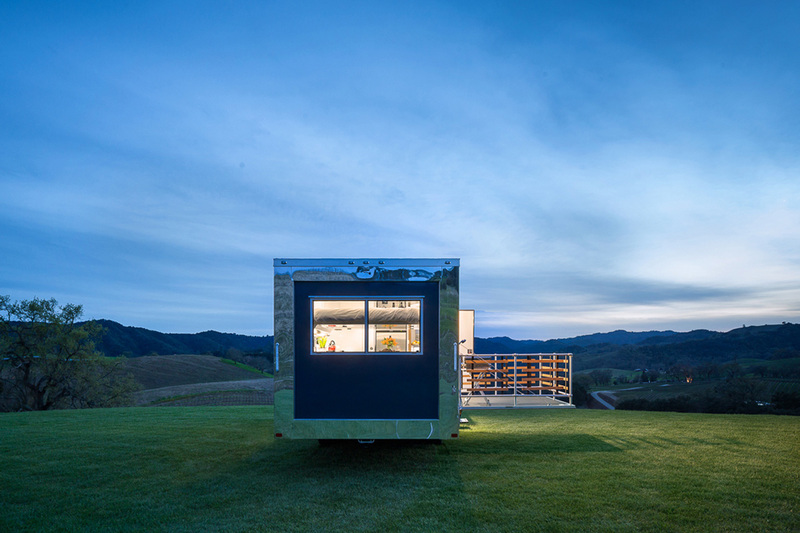 Hoffman Architects – the masterminds behind this project – also provide a reasonable number of customizable options so you may equip it with everything you need to live off-the-grid for months at a time. 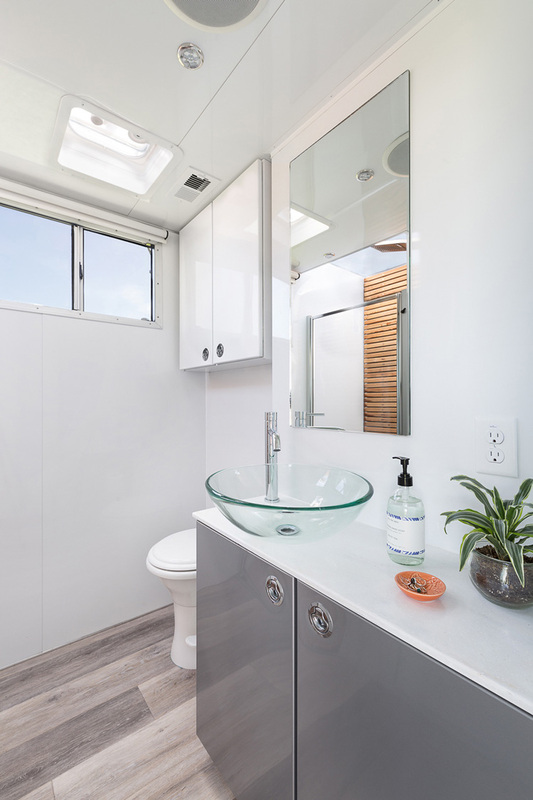 And don’t forget to check other mobile homes on our site: Airstream Classic XL and Nest by Airstream.